I made this matched pair of Performance Hybrid Nylon Whips for Philip using Olive Drab and Black parachute cord. If you’re interested in a pair of whips like these, check out my Nylon Whips page on MidWestWhips.com or browse this gallery blog for color ideas by using the search bar or clicking on a color you’re interested in seeing more of in the tag cloud to the right. This Performance Hybrid Nylon Whip was made for Roy with the standard color options in Black and Olive Drab with a black handle base. This Performance Hybrid Nylon Whip was made for Michael with the standard color options in Black and Olive Drab with a black handle base. This Performance Hybrid Nylon Whip was made for John with the standard color options in Black and Olive Drab. This Performance Hybrid Nylon Whip was made for Jared with the standard color options and colors that were in stock – olive drab and black. 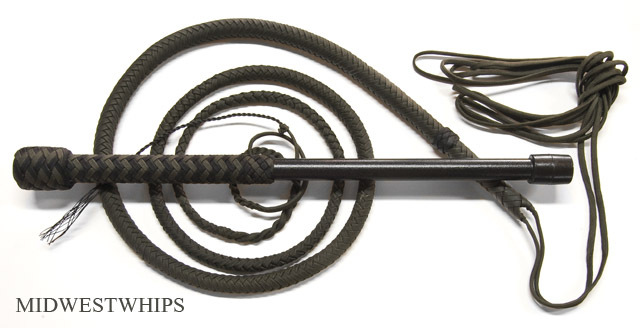 Check out our MidWestWhips Nylon Whips page for more information on Performance Hybrid whips. This Performance Hybrid Nylon Whip was made with the standard color options and colors that were in stock. 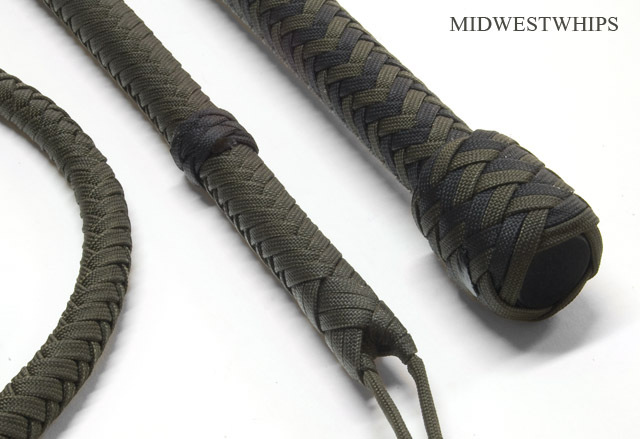 Check out our MidWestWhips Nylon Whips page for more information on Performance Hybrid whips.